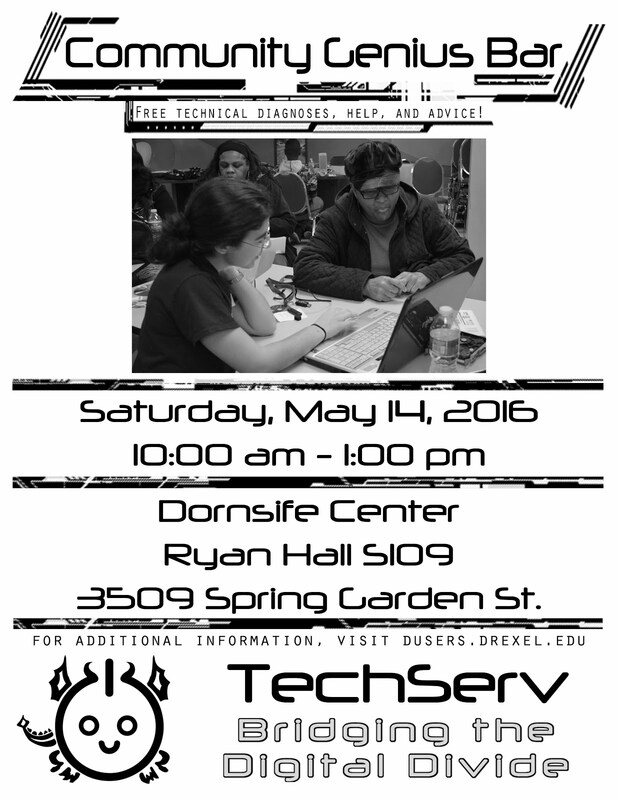 Our next genius bar will be this Saturday, May 14th, in Ryan Hall Room S109 in the Dornsife Center. The Dornsife Center is located at 3509 Spring Garden Street, Philadelphia, PA 19104. We'll be offering free computer diagnoses and technical advice. For more information see our website at www.dusers.drexel.edu.